First home buyers will receive preferential tax treatment in the budget to enable them to save for a deposit, but caps will be imposed to limit the pressure on house prices and to avoid costing the government too much revenue. After days of speculation, sources have confirmed the Coalition will introduce its own version of first home saver accounts which will essentially resemble a superannuation account. First home buyers will receive concessional tax treatment on contributions by being able to salary sacrifice, and the earnings will also be taxed at a concessional rate. There will be caps on the amount that can be contributed annually and an overall cap on the size of the fund. There will be no age limit on who can set up such a fund but it can only be used for the purchase of a first home. The new accounts will be a different version to the first home saver accounts Labor introduced and which the Abbott government abolished at the 2014 budget. Under Labor’s policy, the government would make a 17 per cent contribution, or up to $1020, on the first $6000 deposited each financial year and the interest was taxed at the concessional rate of 15 per cent. People had to save at least $1000 each year over at least four financial years before they could withdraw money, and the maximum account balance was capped at $90,000. After savings reached this level, only interest and earnings could be added to the balance.It is understood that under the Turnbull government version, there will no contributions from the government but the global cap could be higher. Couples with individual accounts would be able to pool their accounts. Despite the government’s policy having both annual and global caps, it still risks being criticised as fuelling demand (which is baloney), a key reason why there was widespread opposition to enabling people to use their superannuation to buy houses. On Thursday Reserve Bank of Australia Governor Philip Lowe joined in, saying boosting supply was more important than driving demand. “You don’t address housing affordability by adding to demand,” Dr Lowe said. 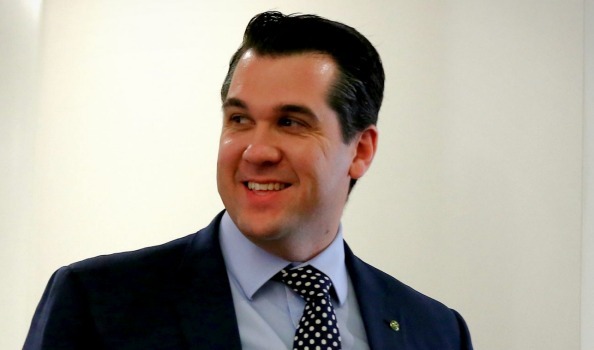 On Thursday, Assistant Treasurer Michael Sukkar told Sky News: “I think on budget night, I don’t want to raise expectations too much, but anyone who is saving for a deposit for their first home will be pleased with the steps by the government. The policy will be one of a handful on budget night aimed at improving housing affordability but the government has baulked at tackling demand-side factors such as negative gearing and capital gains tax concessions. The government will also encourage a national scheme in which investors pay a tax for leaving properties vacant, a process known as land banking. The government has played down in recent weeks its ability to improve housing affordability, especially after it baulked at doing much to temper demand. Labor’s proposal goes a lot further and includes restricting new negative gearing to new homes only and halving the capital gains tax exemption for investors from 50 per cent to 25 per cent. May 5, 2017 in Aged Pension, Federal Budget, Residential Property, Superannuation, Tax, Wealth Building. ← What happens if you go over the super contributions caps?